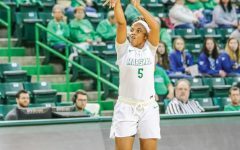 The Marshall Thundering Herd women’s basketball team defeated the Coppin State Eagles, 88-67, Saturday afternoon at the Cam Henderson Center. 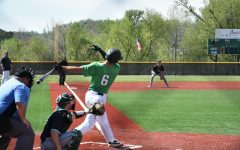 The Herd started the game by making shots and jumped out to a 25-7 lead at the end of the first quarter. Marshall shot 50 percent from the field and 7-for-11 from beyond the arc in the first quarter. 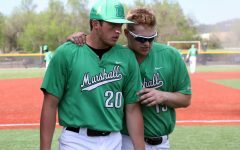 Marshall led for the entire game, something Kemper said was crucial in his team’s win. Coppin State cut Marshall’s lead to four points in the second quarter due to Marshall shooting struggles. 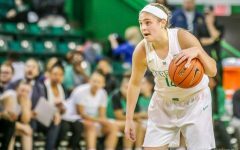 The Eagles failed to shrink the deficit to less than four points, and redshirt senior guard Taylor Porter extended the Herd’s lead to eight by converting a four-point play with 0.6 seconds remaining in the half. 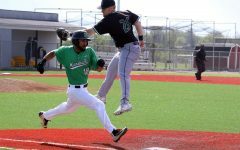 The Herd had a 38-30 lead after the sequence. 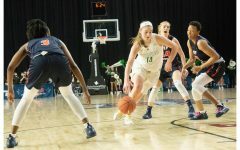 Kemper said he was glad to see Porter play well in this game, and she looks more like herself after sitting out the 2017-18 season. 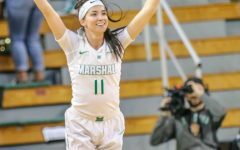 Marshall came out into the second half in an attempt to not sacrifice its lead—Porter’s buzzer-beating 3-pointer was the Herd’s lone 3-pointer in the second quarter, Kemper’s squad found its shooting groove again in the second half. Sophomore guard Kristen Mayo shot consistently for the remainder of the game and finished the contest with 18 points on a 6-for-6 3-point shooting performance. 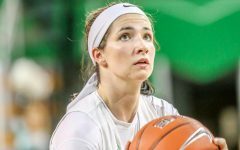 Mayo said she attributes her three-point shooting success to the ball movement that the team stressed following its Thursday win against Evansville. Following a Tuesday night’s tilt at Wisconsin, Marshall returns to the Cam Henderson Center Saturday for a 5:30 p.m. tipoff against Cleveland State.